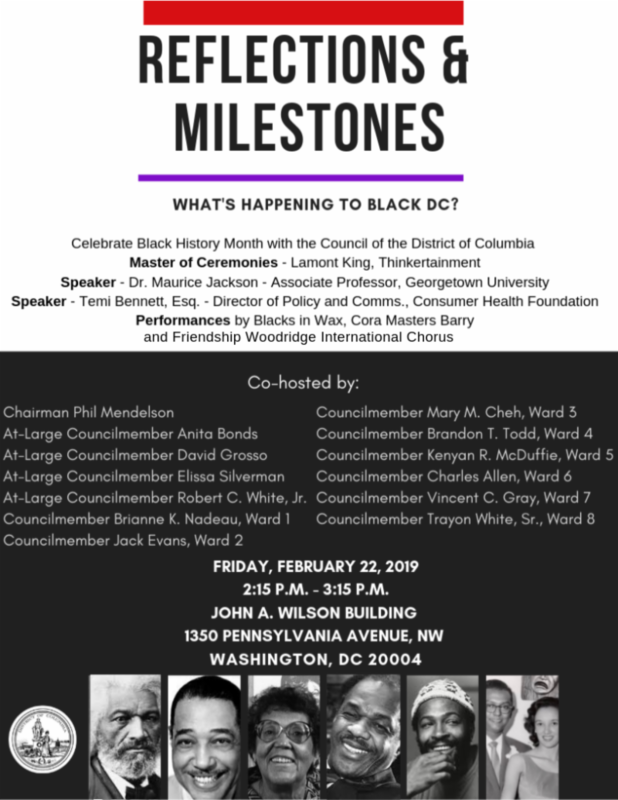 My office, along with the entire DC Council, is hosting a Black History Month program tomorrow, February 22nd at the John A. Wilson Building from 2:15 P.M. - 3:15 P.M. - " Reflections & Milestones: What's Happening to Black DC? " Writer and comedian, Lamont King, will be the Master of Ceremonies. Dr. Maurice Jackson, Professor at Georgetown University, and Temi Bennett, Esq ., Director of Policy and Communications with the Consumer Health Foundation will discuss racial disparities in the District of Columbia. There will be performances by Blacks in Wax led by Cora Masters Barry and the Friendship Woodridge International Chorus. 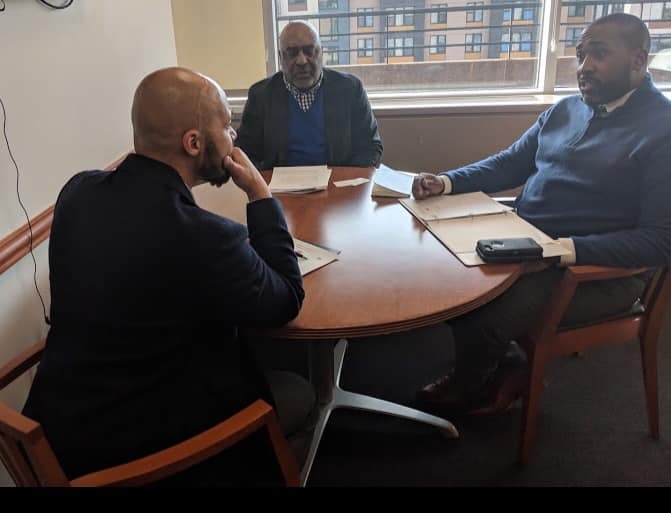 Earlier this month, I was a guest on The Kojo Nnamdi Show with journalist, Tom Sherwood, to discuss my new role as Chair of the Committee on Facilities and Procurement, DC Public Schools' Chancellor nominee, Dr. Lewis Ferebee, and more. Click here to see the entire interview. As Chair of the newly created Committee on Facilities and Procurement, I have visited every agency under the committee's jurisdiction, met each agency director, and reviewed the legislation that created each agency. The Council is now in its performance oversight period, where Council committees hold oversight hearings to review the performance of every agency and commission. I encourage you to sign up to testify about agencies you interact with. Last month, I held my first public roundtable on two nominees to the Commission on Re-Entry and Returning Citizen Affairs. This is an important board that advises the Mayor and Council on issues impacting returning citizens. At the roundtable, I discussed the importance of using the Commission to better highlight barriers to reentry. 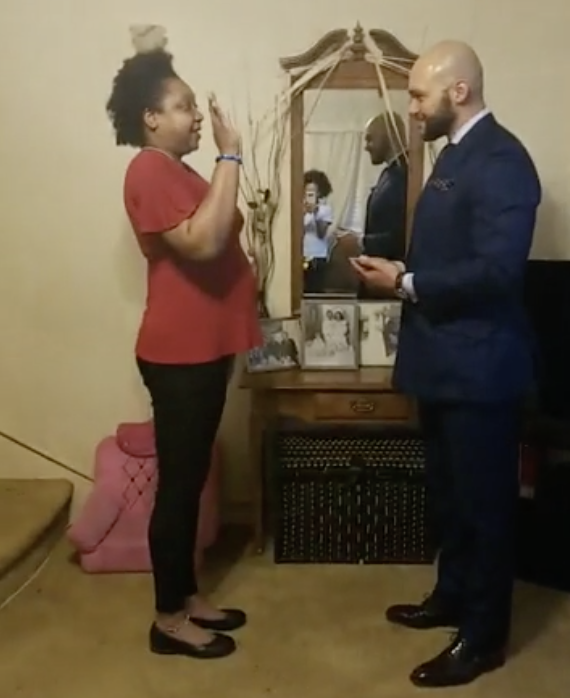 Since joining the Council, I've worked hard to get case workers, transportation funds, free IDs, birth certificates, and entrepreneurship funds for residents returning from prison. My goal is to ensure we are providing resources to help them once they return home and stay on the right path, contributing to society. In my first meeting as Chair of the Metropolitan Washington Council of Governments Board, along with Vice-Chairs and regional leaders, Councilmember Derrick Leon Davis and Chairman Christian Dorsey, we approved a letter to the President of the United States and Congressional leaders calling for an end to the government shutdown, which did ultimately cease. 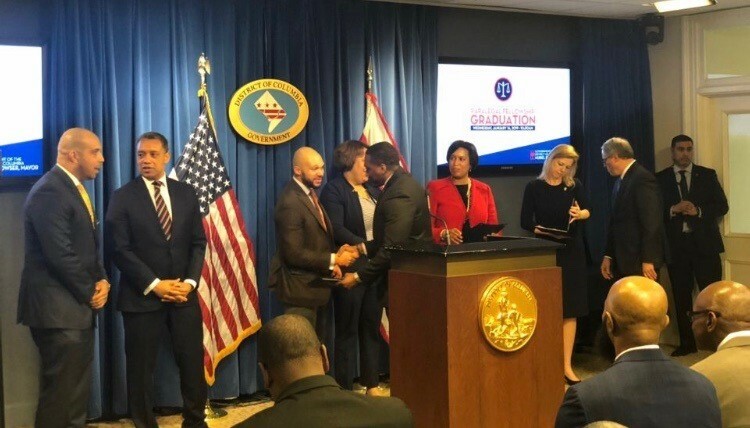 The city took a dangerous step backward on public safety, racial equity, and home rule when Mayor Bowser announced that she is working with President Trump's United States Attorney to prosecute some local gun crimes. The notion that judicial vacancies in DC Superior Court is resulting in violent criminals on the street, simply is not accurate. The conservative philosophy that federal minimum prison sentences will solve violent crimes is wrong. If we don't put more resources into the root causes of crime and instead invest in methods that have been proven to fail, we won't solve our crime problem. This action came right after the Mayor vetoed the Council's fare evasion decriminalization bill. I am very concerned that the Mayor's approach to addressing crime will create more misconduct and poverty down the road and will continue the over-incarceration of people of color. See my full statement here and statements from the Gay and Lesbian Activists Alliance and the American Civil Liberties Union , and an op-ed from award-winning author James Forman, Jr. Tomorrow, come celebrate Black History Month with the Council of the District of Columbia. I took my final introductory tour of agencies with a trip to the Department of General Services and met with Director Anderson. We discussed the agency’s objectives and my priorities as it pertains to government construction, maintenance of government buildings, and land transfers. 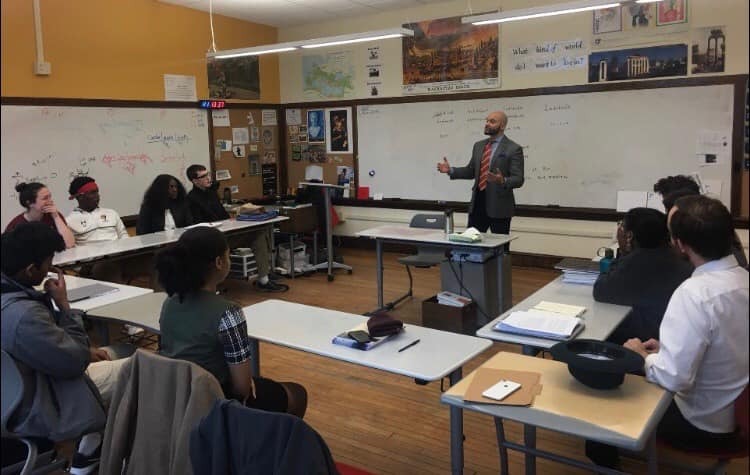 Thank you to the Washington Latin Public Charter School teacher, Bill Clausen, for inviting me to speak with his Honors Humanities class about my work and why I decided to study philosophy. I really enjoyed sharing with students how I still use the skills I gained and sharpened studying philosophy in my work as a Councilmember. 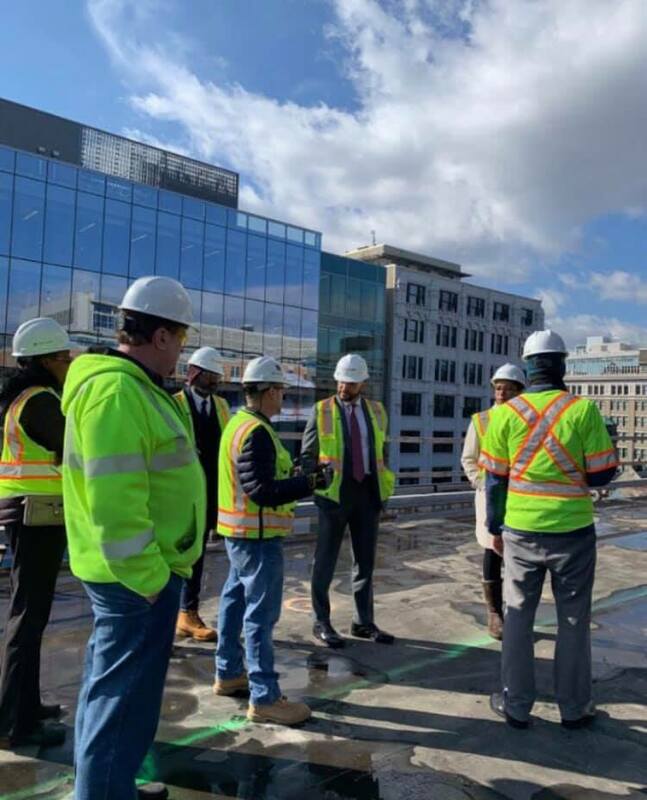 ﻿I toured the grounds of the Martin Luther King, Jr. Library as it's being rebuilt. I got an inside look at what's ahead for our residents. I look forward to bringing my family here in 2020, when the doors open. I visited the District of Columbia Association of Realtors and discussed the impact and changes of housing needs in the last ten years. 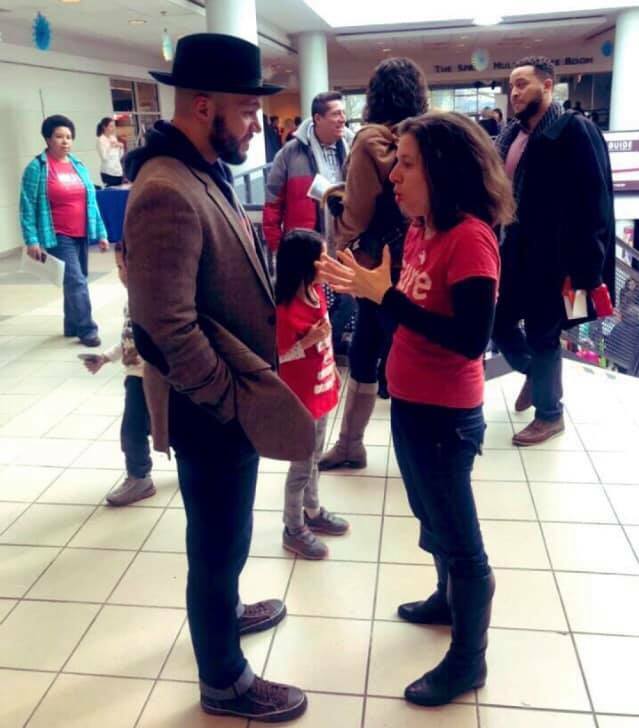 I was excited to speak to the hundreds of attendees at the DC Multilingual Education Fair hosted by DC Immersion. This event ensured that even more residents have access to multi-lingual resources and education programs. Thank you to Capitol Hill Towers seniors for inviting me to your monthly meeting. I appreciate your feedback about your safety and transportation needs. 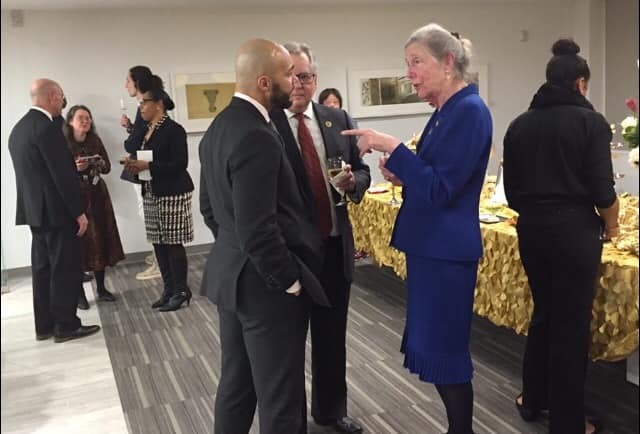 ﻿It was an honor to celebrate the retirement of Betty Anne Kane, who dedicated 44 years of service to the District of Columbia as a Councilmember, School Board member, and most recently, as Chair of the Public Service Commission. 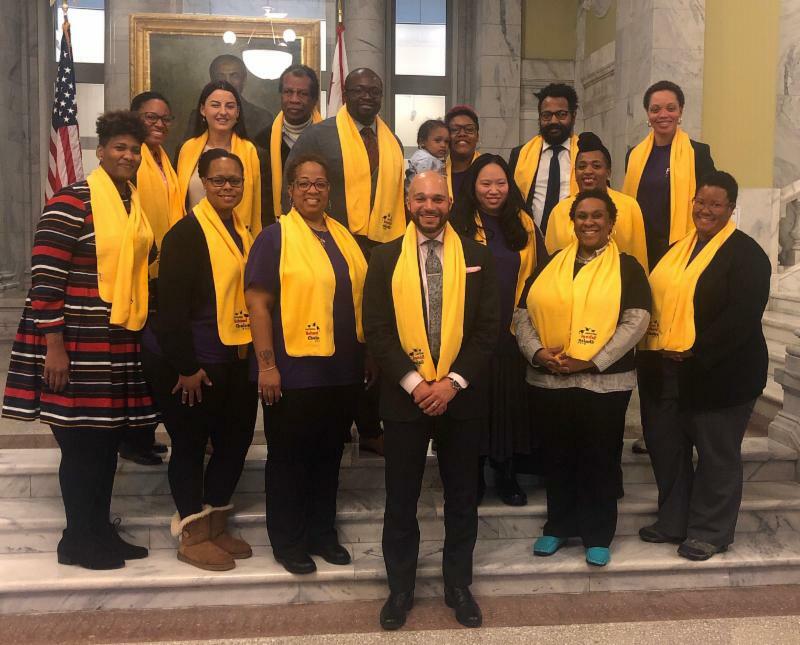 ﻿It was a pleasure speaking to the DC Coalition of Disability Service Providers about issues our providers are facing when delivering high-quality services to our disabled residents. 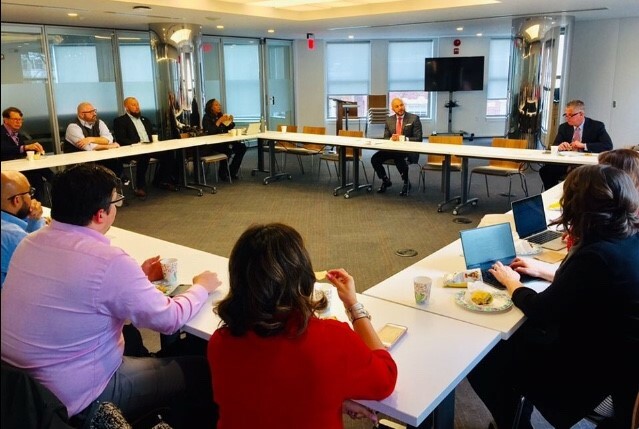 I sat with DC PAVE parents to discuss how we can work together to ensure school budgets are transparent and, most importantly, to listen to fellow parents about their education priorities. 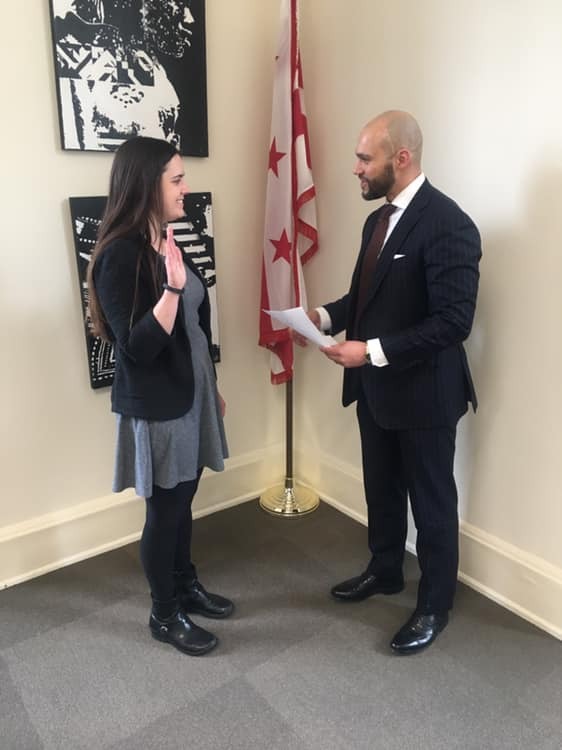 ﻿I had the honor of swearing in ANC Commissioners Charlotte Nugent ( 4C01) and Tiffani Nichole Johnson (4B06). 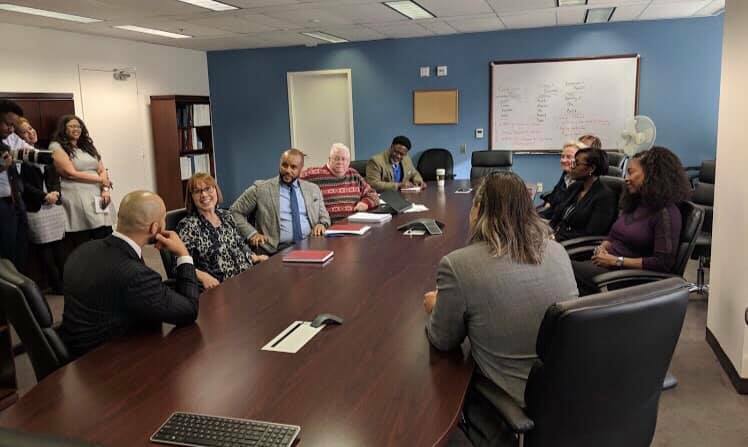 ﻿I visited the Office of Contracting & Procurement, and had the opportunity to meet the team, discuss the agency's procurement objectives, and my priorities as Chair of the Committee on Facilities and Procurement. 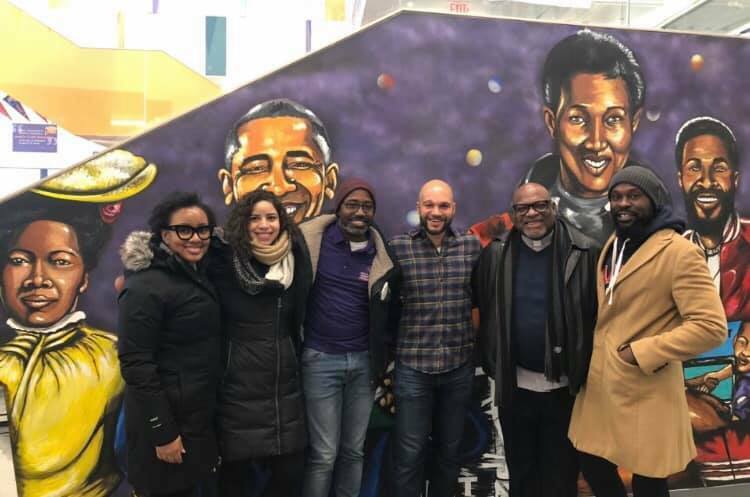 My team and I volunteered with the Thursday Network - Greater Washington Urban League of Young Professionals to provide care packages for those in need for their annual Martin Luther King, Jr. day of service. 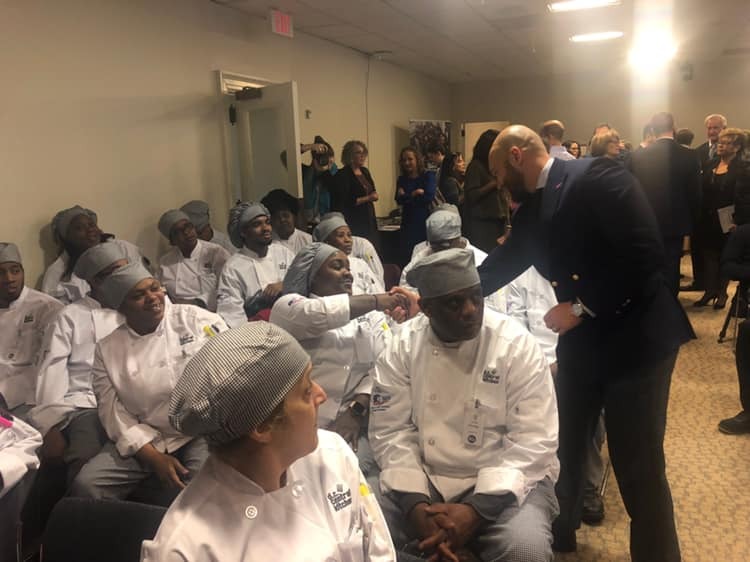 ﻿It was great to celebrate and thank DC Central Kitchen for serving District residents for over 30 years. 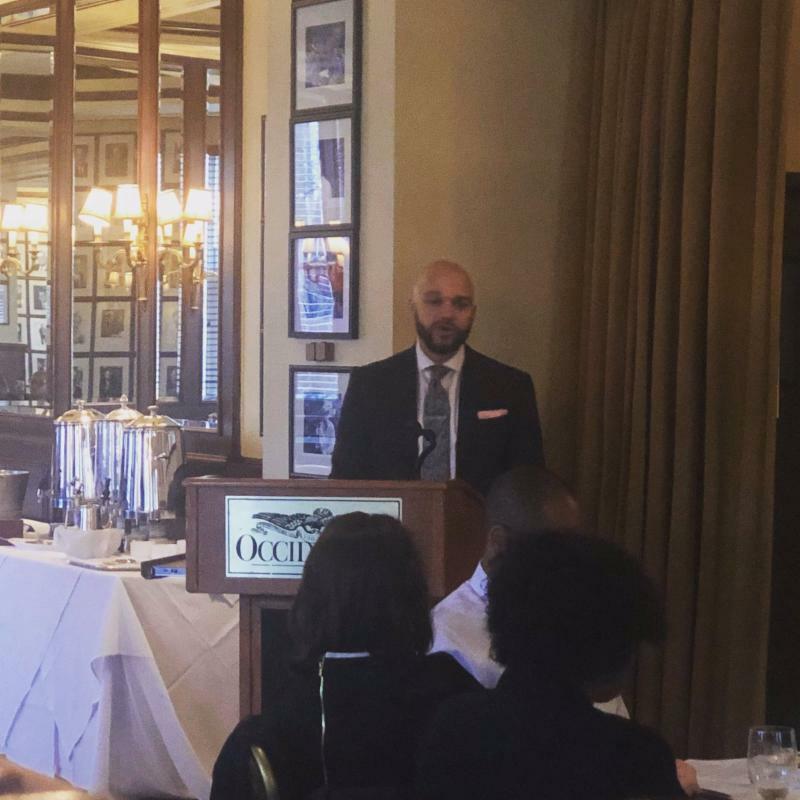 In partnership with Georgetown University, The Mayor's Office on Returning Citizen Affairs (MORCA) graduated its first class of returning citizen paralegals to work in law firms and the Office of the Attorney General. Uber provided transportation to class and M acy's donated professional clothing. 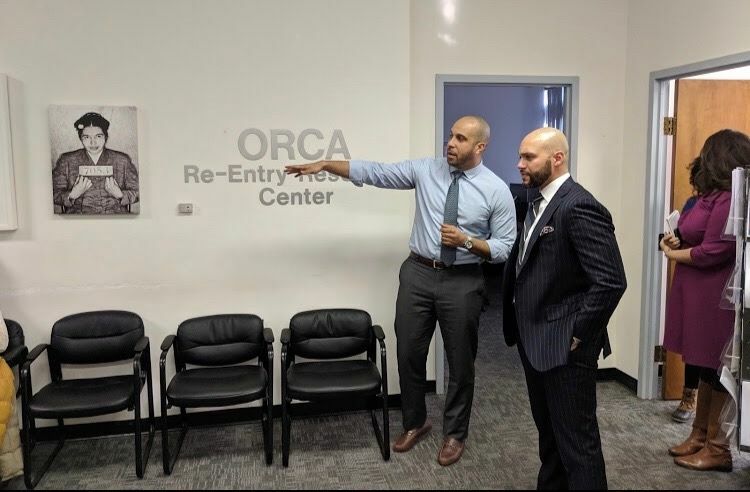 I visited the Office on Returning Citizen Affairs and was impressed by all the resources that Director Brian Ferguson offers to serve our returning citizens. I attended all three public hearings on DC Public Schools' Chancellor nominee, Dr. Lewis Ferebee, where I listened to public feedback and testimonies of concerned parents, teachers, and students. The testimonies largely reflect my concerns, including closing the achievement gap, the need to rebuild trust between parents and public schools, community engagement, and reducing teacher turnover. I hope you enjoyed this month's edition of my newsletter. If you have any questions or need to bring an issue to my attention, please call my office at (202) 724-8174 or reach out to my team.